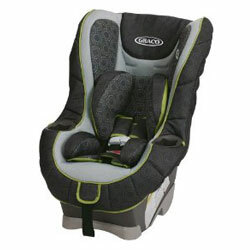 Graco My Ride 65 DLX Convertible Car Seat is a specially recommended for the children by the American Academy of Pediatrics. The seat is very innovative and comes packed with lots of technologically fitted safety measures and comfort. It’s almost a traffic rule that every child ride facing the rear always to provide safety, the seat offers more than this. MyRide 65 is specially designed to help the child ride facing the rear as much as possible, up to about 40 lbs; this is the longest any US seat can hold. 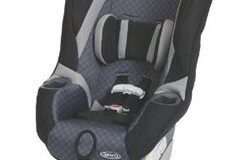 Graco My Ride 65 DLX Convertible seats then keeps the child facing forward secure in 5 harness point up to 65 lbs. This is one of the best options under $200 and it comes with a very good rating from NHTSA. Graco MyRide 65 was the very first seat of its kind to offer the 40 lbs weight limit. 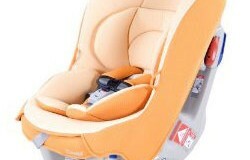 The tall harness slots make it possible for the toddlers to use the seats for longer as they grow. This has come as a blessing to many users. Here some of the basic benefits of this special safety seat for the riding kids. 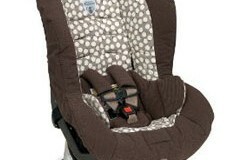 Graco My Ride 65 DLX Convertible Car Seat has lots more benefits than these. 17 inches harness height is a plus to the users. You cannot find these heights anywhere or in any seat. The harness is very strong hence will not break easily giving it a long life span. The seat is very easy to install with LATCH and seat belt. The separate rear and forward adjusting color coded LATCH belts makes it more convenient to the parents. It is very easy getting the correct rear facing angle in the car. One simply folds or unfolds the flaps to change the car seat angle. Despite the numerous benefits, this seat has some few minor weaknesses. When using the child car seat initially, it may look challenging in terms of adjusting. After getting used to the process it becomes very easy. This is however very minor and cannot stop someone from making a purchase. Graco My Ride 65 DLX Convertible Car Seat is the best choice for parents looking forward to keep their children facing the rear as long as possible. The child seat is even suitable for older children say four or five years. The seat is also easy to install and provides high safety standards. Considering the fact that Graco 65 offers up to 65 forward facing and 40 lbs rear facing, this is the best choice for children safety riding in the cars. Summary : This is a very good convertible seat under $200.